I'm pumped to tell you guys all about my new dress from Velvet Heart today on Sensible Stylista. As you all know, I'm a huge fan of their line. I'm sure y'all have figured that out by now though. I mean, I've only featured them 149818 times. Ok, so I may be exaggerating but only slightly, ha! Anywho, the dress I'm wearing below is called the Cynthia. For those of you interested, it's available here for $89. It's made of 100% tencel and comes with a self belt. The design's a classic; one that you'll wear for years to come. If you're looking for a fabulous denim or chambray dress, stop, because tencel trumps both of the aforementioned fabrics. Trust me, it feels like butter and it's super easy to take care of! As a plus, it's wearable all year long. For fall weather, layer like I did below! If you need extra warmth, simply throw on leggings and a thicker coat. For today's OOTD, I paired my dress with a utility jacket to mix vibes (edgy with classic seems to work well for me). I wanted to play around with texture so I threw on suede over-the-knee boots (clicky here to purchase) in addition to sporting a military jacket with faux-leather sleeves. I'm all about juxtaposition if you haven't noticed! Don't be afraid to experiment with unique pairings. PS. I'm blasting Cyber Monday sales today at 2 PM EST so make sure y'all check back to get your shop on! Take advantage of these amazing sales and get your holiday shopping out of the way. Trust me, you'll save much more money this way! 2xist - 30% off everything; valid until the 30th. Accessory Concierge - 30% off the entire site with code THANKFUL; valid until the 30th. AG Adriano Goldschmied - 30% off your purchase with code AGTHIRTY; valid until the 29th. Anine Bing Global - Up to 60% off until the 30th. Anthropologie - 25% off everything with code SHOPTOIT; valid until the 30th. Armani - deep discount on Fall Winter 2015 + free shipping on all orders; valid until the 30th. Athleta - 20% off your entire purchase with code WORKIT; valid until the 29th. Benefit Cosmetics - Get up to 6 deluxe skincare samples with your order; valid until the 30th. BNKR - items for $50 and under; valid until the 29th. Boden - 30% off + free delivery and returns; valid until the 30th. Boohoo - Up to 70% off everything + free delivery; valid until the 30th. Camilyn Beth - Spend $50-$100, get 10% off with code THANKS10, spend $100-$400, get 20% off with code THANKS20, spend over $400 and get 30% off with code THANKS30; valid until the 29th. Design Darling - Get 20% off with code THANKFUL until the 30th. Diesel - Up to 40% off until the 30th. Free shipping on orders $200+. Dolls Kill - entire site marked down! Free shipping on orders $75+; valid until the 30th. Dynamite - 30% off all orders + free shipping with code BLACKFRIDAY30; valid until the 30th. Escada - Up to 50% off; valid until the 30th. Gap - 50-70% off everything until the 30th. Goodnight Macaroon - 50% off store-wide with code blackfriday2015; valid until Dec. 3rd. H&M - Deals with up to 30% off entire purchase + free shipping, with an additional 40% off all sale items; valid until the 30th. Hudson Jeans - take an additional 40% off select styles; valid until the 30th. Italist - 30% discount on FW15; valid until the 30th. J. Crew - 30% off your purchase + extra 40% off sale with code HOLIDAY; ends today. Jimmy Choo - Free shipping worldwide until Dec. 6th. Joe's Jeans - 30% off sitewide + free shipping until Dec. 2nd. John Hardy - free shipping and free returns on all orders - ends today. Journelle - 15% off $150, 20% off $300, 25% off $500 with code THANKSLOVELY; valid until Dec. 1st. Keds - 25% off all orders + free shipping. Kenneth Cole - 40% off sitewide; valid until the 29th. Kurt Geiger Global - 20% off everything until the 30th. La Garconne - 15% off regular priced items; valid until the 30th. La Redoute - 60% off thousands of products until Dec. 1st. Lilly Pulitzer - free domestic flight with purchase of $1500+; valid until Dec. 31st. L.K. Bennett - 30% off sitewide excluding New Season and Signature; valid until the 29th. Luisaviaroma - 20% off extra discount on sale items until the 30th with code BFR20. Macy's - 60% off women's clothing, women's plus size clothing, and junior's clothing; valid until the 30th. Madewell - 25% off your entire purchase with code CALMDOWN; valid until the 29th. Milly - 25% off site wide + free ground shipping until the 29th with code BF2015. Monsoon - receive 25% off all children's full price products; valid until the 30th. Murad - $25 off + free shipping on orders $100+ with code BLACK; valid until the 29th. Nars - receive an exclusive 20% off purchase + free shipping on orders $50+; valid until Dec. 2nd. Nasty Gal - take an extra 30% off, plus 30% off select black styles; valid until the 29th. Neiman Marcus - Gift card event! Earn up to $500 gift card with your select regular-price purchase online with code GC4YOU; valid until Dec. 1st. Nike - take 25% off sitewide + free shipping on all orders with code GIVETHANKS until the 29th. Nina Shoes - take 25% off sitewide + free shipping on all orders with code GIVETHANKS; valid until the 29th. Otte - additional 40% off all sale items with code EXTRAPIE40 until the 30th. Paige Denim - 20% off sitewide excludes sale items with code CYBER20; valid until the 30th. Petit Bateau US - 50% off markdowns until the 30th. Rebecca Minkoff - 25% off all orders + free shipping + free essie nail polish until Dec. 1st. Rebecca Taylor - extra 30% off sale online + in stores with code THANKFUL; valid until the 29th. Revolve - Up to 80% off + 20% off all sale with code BLACKFRIDAY20, ends today! Say Hello To Longer Legs - 25% off invisible heels; valid until Dec. 1st. 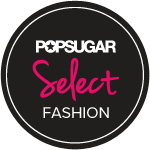 Selfridges - up to 20% off handbags with code SELFCCE; ends today. Shiseido - 20% off sitewide with code FF2015; valid until the 30th. Shoescribe - extra 25% off all items with code CYBER15; valid until Dec. 1st. Shopbop - Spend $250+ and save 15%, spend $500+ and save 20%, spend $1000 and save 25% with code GOBIG15; valid until the 30th. Shore Projects - 15% off everything with code BLACKFRIDAY; valid until the 30th. Soft Surroundings - Up to 50% off apparel, gifts and more; valid until the 29th. Stuart Weitzman - free express shipping on all orders with code BLACKFRIDAY; valid until the 30th. Sundance Catalog - 25% off orders of $150+ with code AFFBF5, valid until the 30th. The Frye Company - The James Collection is now $199 + $100 giftcard for every $400 spent along with free shipping; valid until the 30th. The Outnet - UP to 80% off on designer labels; valid until the 30th. Tobi - 50% off sitewide; valid until the 30th. Toms - receive an extra 10% off sale products and free shipping on all orders with code GIVE10; valid until the 30th. Topshop - Up to 50% off select lines until the 30th. Victoria's Secret - buy 1 bra get 1 50% off with code DOUBLEUP; valid until Dec. 2nd. Wilsons Leather - 70% off cyber deals + 50% off the entire site with code CYBER; valid until Dec. 6th. Yoox - extra 25% off + free shipping; valid until the 30th. I am so beyond obsessed with my new Ann Taylor blanket scarf. I've always been a huge fan of tartan so when I saw this piece online, I totally flipped. In my opinion, a fab scarf is the ultimate cold-weather accessory. If you want to satisfy your inner fashionista, pick one up for yourself HERE sooner than later - it's currently on sale, and I don't know how long it'll be before it sells out. Note: make sure you use code CELEBRATE to get an extra 50% off. For today's OOTD, I kept things clean and simple for a polished look! It wasn't too chilly out so I skipped outerwear altogether. I carried my new Prada saffiano tote and threw on shoes to match. Also, in case you're wondering my jeans are from YMI...and yes, they're ridiculously comfortable. I'm all about high-waisted pants! If you want to know why, clicky HERE. I recently published an informative article on how to look 10lbs skinnier, and high-waisted skinnies play a crucial part! Hey guys! I hope you all had an AMAZING thanksgiving. As promised, here are more codes for y'all. I updated yesterday's and added a bunch of new ones! Happy shopping, everyone. I want to hear ALL about your fabulous finds. Yay for bargain shopping! 2020Ave - Free shipping until the 27th with code FREESHIPPING. 2xist - 30% off everything. Alexander Wang - Free shipping on all orders $250+; valid until the 28th. All Posters - 45% off everything with code NHGZ9399; valid until the 28th. All Sole - get 30% off with code BLACKFRIDAY. Amazon - 30% off select clothing, shoes, accessories, jewelry and watches with code 30BLACKFRI. Art.com - 45% off all orders with code NHGZ9399; valid until the 28th. ASOS - Up to 60% off casual looks for men and women with code BLESSED. Valid until the 26th. Banana Republic - Half off sweaters and 40% off the rest of your purchase with code BRFRIDAY. Bandier - 25% off sidewide; valid until the 27th! Bebe - 30% off select styles. Chicwish - extra 20% off with code BLK20. Cole Haan - 30% off + free shipping. DL1961 - 30% off full priced items with code DLBLACK; valid until the 28th. Free shipping on orders $100+. Dolce Vita - 20% off + free shipping with code BLACK20; valid until the 27th. Dolls Kill - entire site marked down! Free shipping on orders $75+. 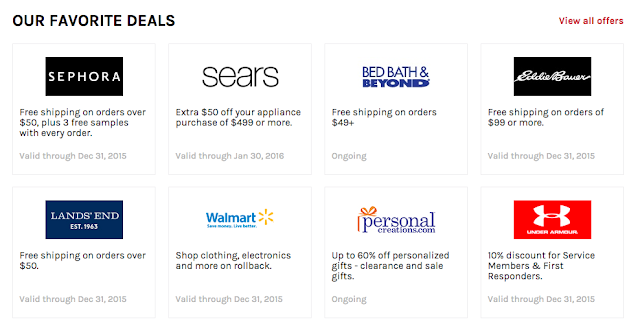 Dressbarn - 20% off your entire purchase with code GIFTING. Express - 50% off everything + free shipping; valid until the 27th! Gap - Early Access 50% off with code EARLY. Garage - 40% off fashion $ denim + free shipping until the 30th. Gymboree - 50% off entire purchase + free shipping. H&M - Black Friday deal days up to 60% off, Black Friday exclusive deals from $4.99 and in-store scratch offs for the first 100 shoppers in line valued up to $300. Hudson Jeans - take an additional 30% off sale items; valid until the 27th. J. Crew - 50% off in stores and online + free shipping on orders $50+ with code SHIPGIFTS. James Perse - up to 70% off the holiday sale + free shipping with code HOLIDAYSTYLE15. Kate Spade - Surprise Sale! Up to 70% off until the 28th. Kenneth Cole - 50% off sitewide + free shipping on all orders; ends today! Loft - 40% off almost everything with code BF40; ends today. Macy's - Extra 25% off clearance designer handbags, 50% off select juniors clothing, 60% off select women's coats, 50% off women's sweaters, 70% off memory foam pillow & toppers. Modcloth - Up to 40% off until the 27th. Moschino - 50% off all products; ends today! Neiman Marcus - take 20% off sale items for up to 50% off online until the 27th. Nicole Miller - 25% off outerwear; ends today. Nordstrom - Up to 50% off select styles for all + free shipping & returns; ends today! Old Navy - 60% off hundresd of styles, 50% off even more, 40% off everything else; ends today! Rag & Bone - 25% off sitewide + 2-day shipping; ends today. Ralph Lauren - Up to 60% off + take an extra 20% off select already reduced merchandise with code TURKEY20; valid until the 26th. Rebecca Minkoff - 25% off all orders + free shipping + up to 70% off selected styles until the 29th. Sam Edelman - 30% off sitewide with code SAMSGIVING; ends today. Shoescribe - extra 25% off all items with code CYBER15; valid until Dec. 1. Snobswap - get 25% off sitewide, up to $500 max with code GIVETHANKS; ends tonight. Wilsons Leather - 50% off entire purchase + free shipping on orders $50+ with code BLACKFRIDAY; valid until the 27th. First of all, happy turkey day everyone! I hope you all are eating your hearts out and spending precious time with loved ones. I know I'm going to have an amazing day. I'm going to a hugeeeee buffet at a fancy schmancy hotel with my parents later today. It's our tradition, haha. It's just the three of us so we always go out. I can't wait to stuff my face with green bean casserole, stuffing, turkey, and pecan pie. Mmm, my stomach's already growling! Thanksgiving's actually my favorite holiday. Do I even need to tell you guys why? Delish food + bargain shopping...that's all I'm going to say, ha. In honor of black friday and cyber monday, I'm going to be posting sales EVERY day (until Tuesday or so) to make sure you guys get the most bang for your buck. In addition to sharing discount codes & faves, I'll be tweeting a ton so make sure you follow me on twitter HERE. 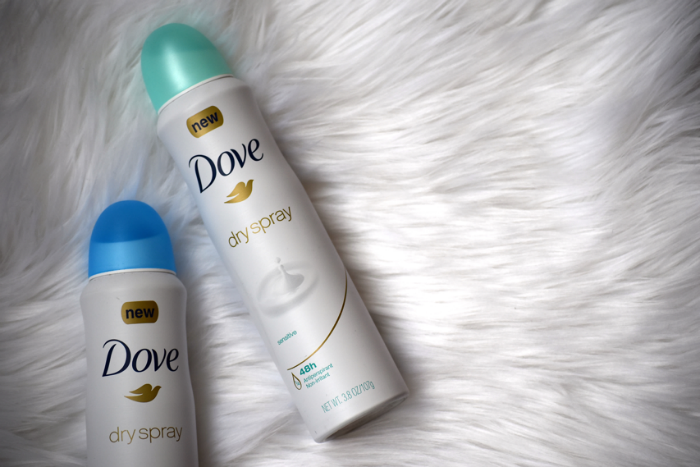 Introduced by Simply Stylist, I've partnered up with Dove to review their new Dry Spray for you guys today on Sensible Stylista. As you all know, I lead a pretty crazy life. I'm a doctoral student (pursuing two degrees), full-time blogger, concert pianist, AND piano teacher so I'm literally running from place to place...and sweating all over because I'm disgusting, ha! So yeah, deodorant is must for me. I've only used sticks in the past, but I've officially converted to sprays because of Dove. I got to try two different sprays (pictured below) for the review which was awesome because they both smelled ah-MA-zing! They also felt really good against my skin. I know that may sound weird, but you gotta try it to know what I mean, ha. It's one of those situations, but trust me when I say you want to purchase this spray. It doesn't leave any visible residue which is bomb. Oh, did I mention it also protects from perspiration for 48 hours? Yep. It shouldn't get much better than that, but... it does. It goes on instantly dry and gives you softer, smoother underarms thanks to Dove's unique moisturizing technology. For those of you interested, this spray is available in 6 different scents at food and drug retailers nationwide. Make sure to try one out for yourself! It's time for part 3 of my Madden Girl collab - clicky here if you missed part 1 and here if you missed part 2. For today's look, I centered my OOTD around my new skirt from Old Navy. I've been really into suede (or faux-suede in this case) as of late. For those of you interested, this fabulous skirt is currently on sale HERE for $34. It's made of 100% polyester and sits right below my waist. Let me know if you have any questions regarding the item! Anywho, I paired the piece with a printed sweater for a cozy fall look. Since the top half of my sweater's patterned, I skipped jewelry altogether because I'm not a fan of "busy" vibes. To finish off my look, I accessorized with my Madden Girl hat. 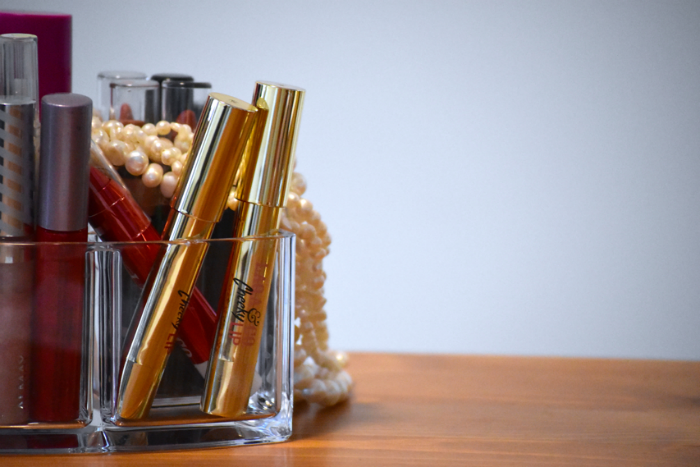 Sharing my all-time favorite make-up picks with you guys today! 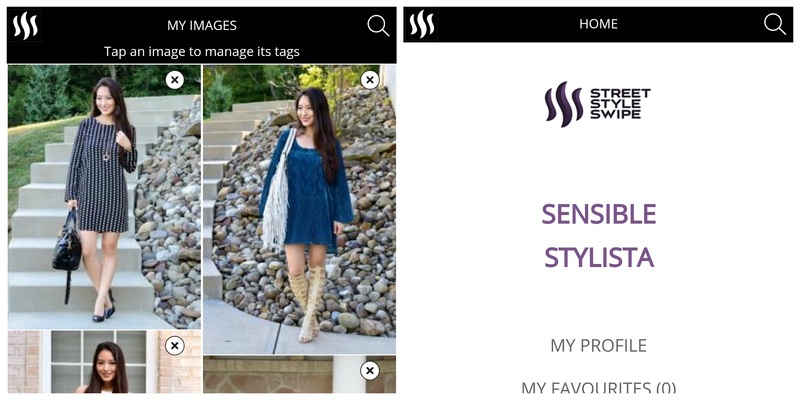 I'm beyond excited to tell you guys all about Street Style Swipe (the world's FIRST search engine for fashion) today on Sensible Stylista. Man, that's a lot of alliteration, haha. Anywho, I want to jump right in and give you guys the 411. The first of its kind, Street Style Swipe enables you to search for a look based on 5 categories: item, style, cut, color/print, and fabric. Let me break it down for you guys! 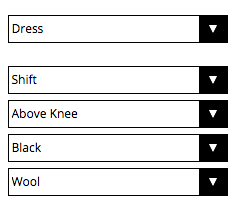 Say you want to search for a specific shift dress - to see how others have styled it, enter dress, shift, above knee, black, and wool into the search query for results. If you want to add open-toed pumps to the mix, you can enter that in as well to see how fashionistas mixed the aforementioned items. You can also search for a combo of (up to) 4 items to build a look; example: shoes: boots, jeans: boyfriend, bag: hobo, and sunglasses. Since it's a fashion search engine, it's crucial that members tag their images. Note: you can add multiple tags for an item. If you're featuring ripped, boyfriend jeans, make sure you add "ripped" and "boyfriend" as separate entries. You can add up to 20 tags so have a ball! Remember, the more you use, the more times your image/s will appear. As a blogger, that means more traffic for YOU. As a plus, if you join the SSS community, there's a possibility that you'll be featured on the site. Trust me, you definitely want the exposure because it'll bring you mad traffic. However, if you don't want to join, no worries! You can still use Street Style Swipe to search for looks. The site's free for anyone to use at any time. Let's take a look at my profile! As you can see, I've uploaded a ton of looks! I highly recommend joining their network. It's free, and all images are linked back to you (hyperlinked to your blog). There's no pressure to buy or sell. It's not a marketplace, just a place to browse style inspo. As a plus, it's super easy to navigate due to the aforementioned search engine. You can also "favorite" and comment (with predetermined comments so it doesn't become a competition for likes or votes) on your favorite outfits! 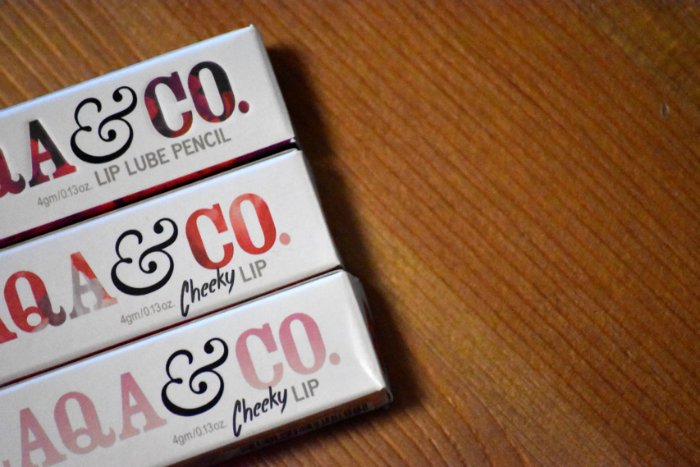 Also, they're currently hosting a fab giveaway! 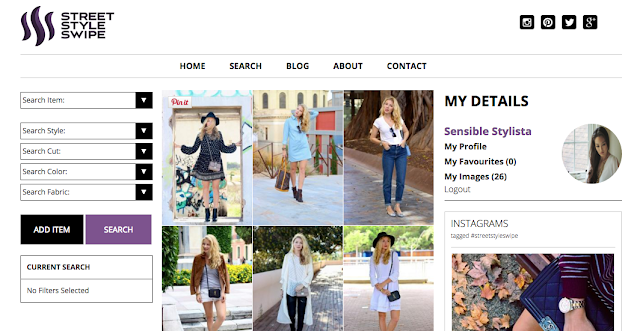 Anyone who joins as a member or follows them on IG/twitter has a chance to win one of two $100 ASOS vouchers (!!!!) The winners will be announced on November 27th. Clicky HERE to enter. OH, and one more thing! Make sure you guys check out their blog for inspo as well. There are two parts FYI: editorial & featured. They share a ton of fabulous fashion articles in their editorial section and spotlight fabulous SSS members in their featured section (pictured below). Also, in case you were wondering their mobile site (pictured below) is legit. It's super easy to navigate so it's a ton of fun to browse. Do yourself a favor and head on over to SSS stat! It's time for part two of my Madden Girl collab! I'm super excited to tell you guys about today's OOTD. I styled a classic black & white look for y'all but gave it my own lil' twist. I started with a simple, checkered top from Old Navy (available here for $29.94). I wanted to get my print game on so I paired it with a classic tweed mini from Banana Republic (available here for $34.99), and I threw on my Donna Degnan jacket on top to tie the whole look together. Let's take a look at my adorable hat courtesy of Madden Girl. I feel like hats make such wonderful fall accessories. How do you guys feel about them - are they a do or a don't? If you're a fan, is there a specific kind you like? Berets, floppy hats, etc. Alright guys, I'm pumped to tell y'all about my new pants from Gap. These bottoms are ridiculously comfortable - they're like pajama pants for the office, ha. Made of 100% rayon, they have interior drawcord ties with an elasticized back waistband. They seriously just look like printed dress pants though. Good call on the hidden drawstring, designers! Regarding fit, they lie low on the waist, and they're fairly loose - they still look polished though because they taper towards the bottom. For those of you interested, these pants are available here in green floral and gray - the version I'm wearing below is (unfortunately) sold out. Anywho, let's talk a bit more about today's OOTD. I paired my joggers with a neutral sweater to match and threw on a moto jacket for a bit of edge. I carried my Prada saffiano and wore my fave heels from Castro to top things off. If I could go back in time, I'd accessorize with a fun statement necklace! Oh well. I was in a hurry because I set my alarm for 6:30 PM instead of AM, oy. I hate when I do stupid stuff like that, ha. What do you guys think of these pants? Would you wear 'em to work? If so, how would you style them? I'm all about my new crepe dress from Banana Republic. Don't you just love the color? I may or may not have a soft spot for all things mustard. I know pros say yellows clash with asian skin tones, but I don't care. I think it looks good, and that's all that matters. Personal style is exactly that. Personal. Wear what you want, when you want. If you happen to like something that's trending, great! If not, who cares. Wear what makes YOU happy! It's all about confidence anyways. Anywho, if you're interested in this dress, make sure you pick it up STAT because it's currently on sale HERE for $49.99 - it was originally $140 so you're getting a good deal. This dress is made of 100% polyester, but it feels like silk. Like all BR designs, this item is quality. Everything from the fabric to the cut is legit. The graceful tiers will ooze sophistication and elegance, and as a plus, you'll get tons of wear out of it because it works all year long - wear it sans jacket in warm weather and layer like nobody's business in the Fall & Winter. It was fairly warm today so I threw on a light jacket and walked out the door. Man, the weather here has been giving me serious whiplash. It's freezing one day and totally warm the next. I have NO idea what's going on, but I def. don't mind the spring-y weather. Mid-60s? Uh, yes please. Andddd I totally just got off topic. Again. Sorry! I'm kind of all over the place right now. 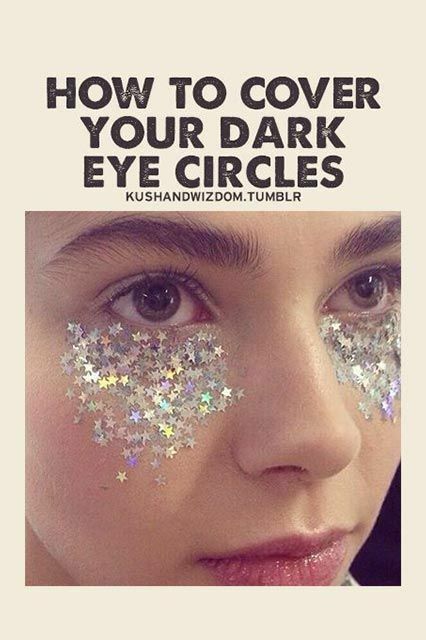 Let's get back to today's look! I picked my jacket up at Saks Off Fifth a few months ago. I fell in love with the design at first sight and bought it without thinking twice - it's Free People in case you were wondering. Now, to finish off today's OOTD, I carried my Coach crossbody (you can never go wrong with a bit of animal print) and accessorized with my fave tassel necklace! 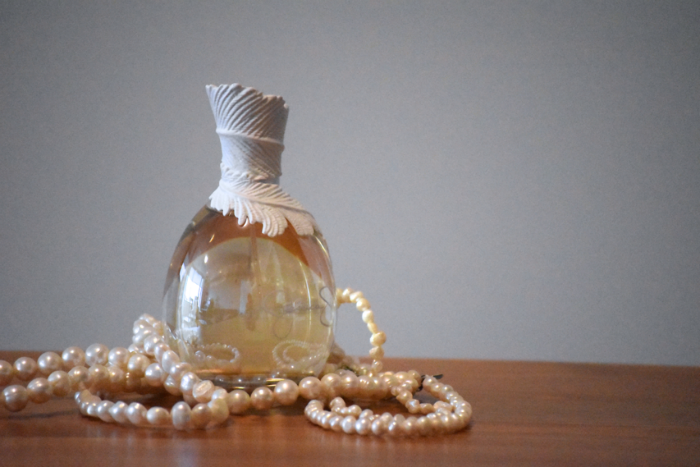 I can't wait to tell you guys all about my latest find today on Sensible Stylista. I centered my look around my new sweater dress from Old Navy. I got it on sale for $10.50 (!!!!) a few days ago. They were having a big blowout sale for Veteran's Day, so obviously I took advantage. I tried this dress on in person when it first came out but didn't purchase it because it was expensive - FYI, by "expensive" I mean $39.94, ha. I highly suggest purchasing this dress while you can! It's a must-have in my book because it's chic AND comfortable. I actually bought it in three other colors in addition to the black pictured below! ...yeah, that's how much I adore this dress. It features a relaxed fit so you don't have to worry about sucking in or masking your muffin top. You can purchase this baby HERE if you're interested. Also, feel free to tweet me, message me, whatever, if you have questions. I'm always here for you guys! More on today's OOTD: I styled my dress with my Donna Degnan coat (available HERE). I don't know what it is about this jacket, but it ups my outfit game whenever I wear it. I decided to keep things simple accessory wise so I threw on my YSL crossbody and called it a day because my Rachel Zoe ankle-strap shoes make quite a statement. I'm all about simplicity as of late - IMHO, there's nothing worse than over-accessorizing. I'm beyond excited to partner up with Lafayette 148 New York today on Sensible Stylista. I drew style inspiration from the TV show, "The Good Wife" and created a classic look for you guys. Alicia Florrick, the title character of the show, always looks polished and sophisticated. Are any of you guys fans of the show? What do you guys think of her style? For today's OOTD, I centered my look around my new coat courtesy of Lafayette 148 (available here in four different color pairings). I paired it with gray skinnies and an oversized sweater for a chic yet comfortable look. I accessorized with a classic tote but injected personality with a pair of kick@$$ heels. I purchased these shoes from Saks Off Fifth a while back; they were on sale for $30! A hell of a deal if you ask me because they're Charles Jourdan - they typically run $200+. Oh, did I mention that my coat's reversible? Ta-da! I'm not sure which side I like more so I'm going to ask you guys. Do you prefer the black or the gray? I'm super excited to partner up with CyberMonday.com today on Sensible Stylista. Make sure you guys read carefully because I'm going to tell y'all how to score the best deals this holiday season. First of all, bookmark CyberMonday STAT. I want you to think of CM as your bargain shopping bible because it compiles all the sales for top retailers in one place, saving you time, money and energy. You won't have to rush to different stores or sites to find the best deals around. This site features deals and special savings from hundreds of retailers all year round. 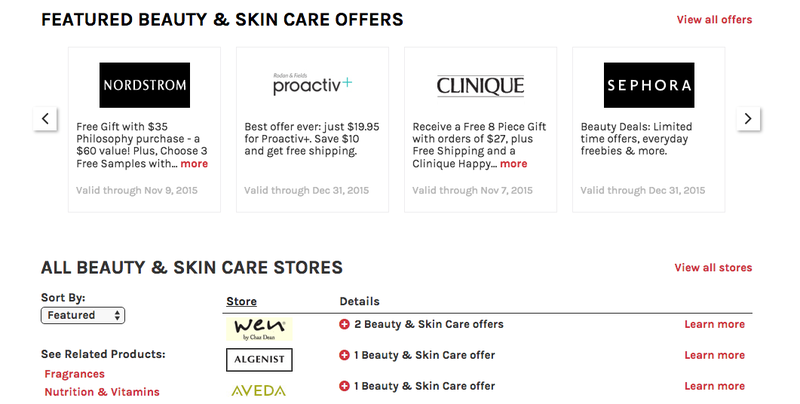 CM collects coupon codes, limited time offers and special savings opportunities from over 800 online stores and puts them all in one convenient place for you to use. In addition to hundreds of special offers, some of which will be exclusive promos only available on the site, it'll be featuring a Deal of the Hour on its front page on Black Friday or Cyber Monday highlighting a different retail promo. Offers will include free shipping, dollars off, percentages off, and free gifts with purchases at some of your fave stores. Shopping CM's site is easy peasy because it's clear and organized. It has five tabs at the top for your browsing convenience: categories, offers, holiday, holiday entertaining, and store directory. Personally, I'm all about the offers tab because shipping's a deal breaker for me. Unless it's something I seriously can't live without, I'll pass if I have to pay for shipping. Categories is also a fave. There are 13 total, and they each have sub-categories. Here's an example from Beauty & Skin Care. The most popular sales are displayed at the top and all other deals (from various stores) are listed at the bottom. If it's easier for you to simply search via store, you can do that using the store directory. Want to be alerted of featured deals? CM will send you emails about the best money saving deals from the most popular stores of the season. Just enter your email address at the bottom of the site and click "submit." 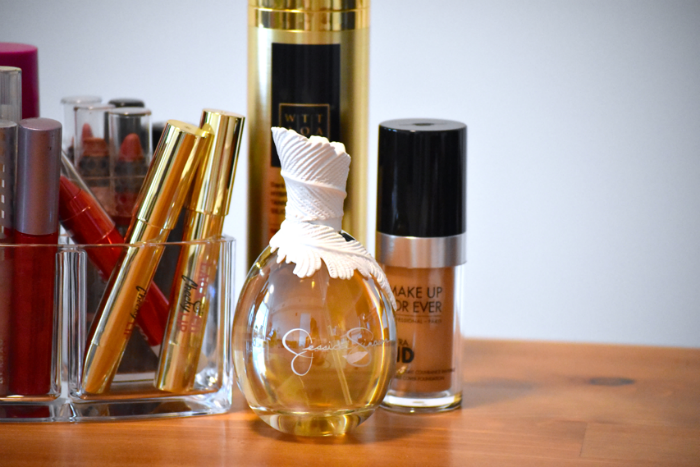 I'm super excited to partner up with Madden Girl (via Kohl's) today on Sensible Stylista. I am completely and utterly obsessed with my new wedge boots. They're so warm and comfy, and as a plus, they go with everything. The tassel zipper's the cherry on top. If you're looking for new winter shoes, you need to check these babies out STAT. If you don't have a Kohl's near you, no worries! They're available online - clicky here to purchase. Please don't hesitate to reach out with any questions. I'm always happy to hear from y'all! Anywho, I styled my boots with an oversized poncho from Gap (available here). I skipped tights today, but if you want, you can throw on leggings for extra warmth. This piece is beyond chic - think designer quality. It's made of a wool and polyester blend so it's super soft, and it has wide arm openings, side vents, and contrast ribbon throughout. Note: it's only available in "one size." For your reference, I'm 5'5 and about 118 lbs. I personally like the fit, but if you're super petite, this may be too big for you! You should try it on though! Just order it. Their return policy's awesome so you have nothing to lose. If it doesn't work out, just print out a return label and send it back free of charge! A close-up shot of my boots! One last shot for you guys before I leave you! How do you guys feel about ponchos - are they a do or a dont? I'm beyond excited to partner up with YMI Jeans today on Sensible Stylista. I centered today's latest around my new chambray tunic c/o YMI (available here). It's a serious must-have in my book because it's comfortable AND fashionable. The self-tie highlights the small of my waist, which is awesome because it makes me look way skinnier than I actually am, ha. Wear it with jeans (like I did below) or pair it with warm leggings and boots for a stylish fall look. Also, for your reference, I'm wearing a size small. If you want an oversized fit, I recommend sizing up. It was chilly out so I wore my fave trench coat (similar here) on top and accessorized with my check scarf (similar here). Both pieces are from Burberry, and I (surprisingly) scooped them during after-Christmas sales in FL. I usually vacation there during the winter because the weather's amazing! When I'm there, I always make sure to hit up their premium outlet mall because they have a ton of designer pieces available for less. I've scored incredible pieces from Armani, Burberry, Saks, Barneys New York, Kate Spade, and more! Moving onto my skinnies! These pants are to die for. They're called WannaBettaButt jeans, and I can totally see why. They lift and shift your backside, giving you a firmer look with contour seams. The high-waist hides your muffin-top AND elongates your legs. For those of you interested, these bottoms are available HERE in 4 different washes - FYI, I'm wearing "dark wash."